Most visitors know about Central Park in New York City, but they might not know about Bryant Park. What a treat! This park is teeming with things to do with the kiddies...just in time for summer break. A trip won&apos;t be complete without a visit to Le Carrousel. Specially created to complement the parks French classical style, this carousel is an homage to both European and American traditions. Its fourteen delightful animals, replicas of classic carousel creatures, revolve to the sounds of French cabaret music. This pint-sized ride is ideal for the 6 and under crowd. 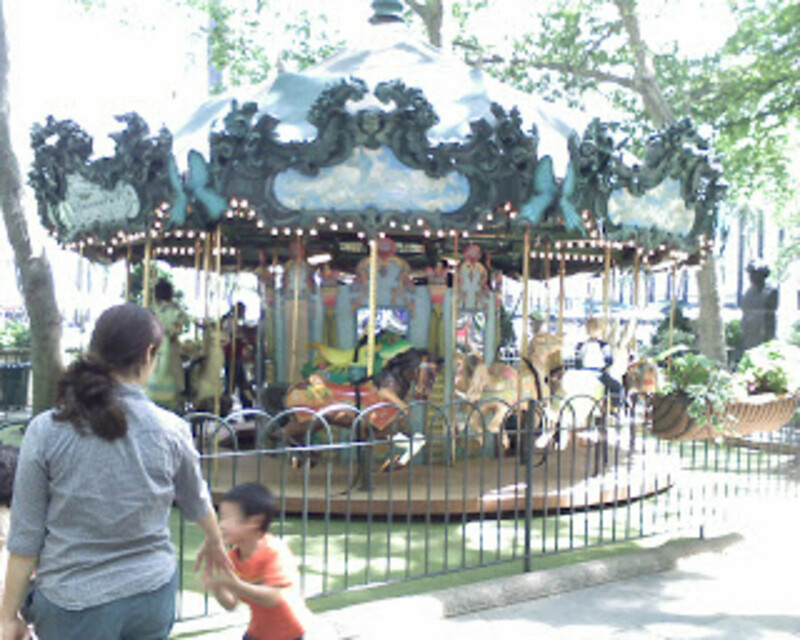 Stroll up to Bryant Park, enjoy a bit of time walking on the plush grass and then head for a few rides on the carousel. The location also features a small children&apos;s library for some quiet time in between rides. In the winter the park converts to an ice rink with free admission. Ice skating at Citi Pond Bryant Park is a great alternative to Rockefeller Center. The 17, 000-square-foot rink is family friendly and thanks to Citi’s generosity, it continues to be free for all guests (you do have to pay to rent skates). Bryant Park never ceases to amaze as it transforms from one attraction to the next. With so much to offer, not to mention the magnificent NYC views, one can plan to make Citi Pond an addition to their NYC winter destinations. After skating, families can spend some time at The Holiday Shops surrounding Cit iPond with more than 125 retailers that offer unique boutique shops and specialty food stores. You can also make Citi Pond a part of your dining plans and visit Celsius Restaurant and Lounge. The glass-enclosed restaurant offers eclectic American comfort dishes and winter themed drinks. In the fall, Bryant Park holds a series of cultural arts performances that include fun events for kids, including workshops, hands-on activities, and more. The Bryant Park Fall Festival, presented by Bank of America will also include evening performances by artists and daytime programs from City Winery, operamission, the Rubin Museum of Art, PuppetMobile, and Vital Theatre Company. Festival goers can also take advantage of special food and wine pairings jointly offered by wichcraft and City Winery at each nights performance.